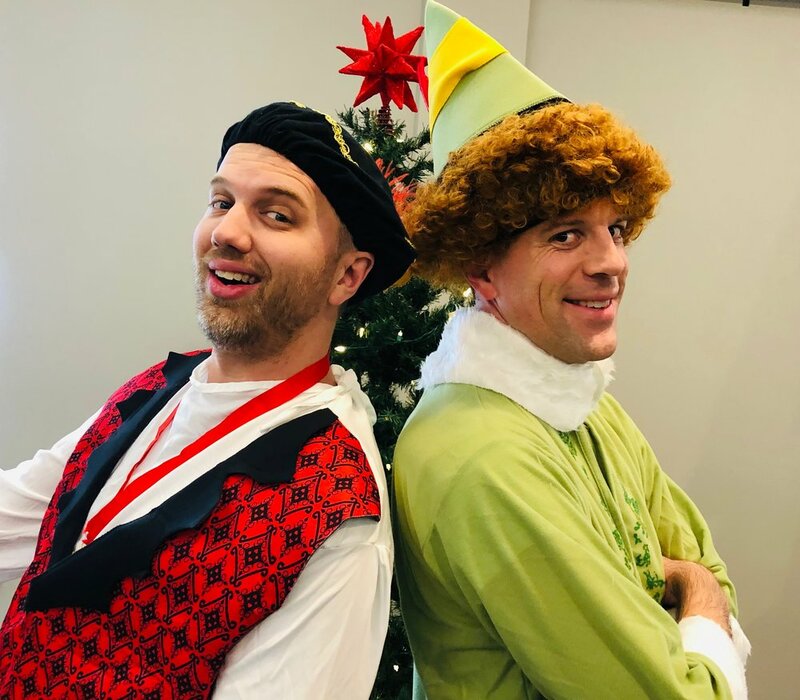 Filled with games, skits, songs and more … Jingle Jam will help your family and friends experience the fun and meaning of the Christmas story using all of your senses. This high-energy event will capture the attention of young and old, and will jumpstart some meaningful conversation for your family about the miracle of Christmas. Mark your calendar and invite your neighbors and friends to this FREE event on Friday, December 7 at 7:00 pm. Although it's free, space is limited, so please reserve your spots by clicking here. Junior & senior students are invited over to Henry Michael & Holly’s house for a small group kick-off party on December 2. Football, food, and fun! Join us for the Vikings game at 3:30 or come for food at 6! The party goes ‘til 8, and all 11th and 12th grade students are welcome and encouraged to bring a friend to learn what this small group is all about! Message Henry Michael on Realm if you would like to join us last-minute! Feeling pulled in too many directions during the hustle and bustle of the holiday season? Our Family Advent Services, which take place on Sunday afternoons in December, are one holiday tradition that will help you savor the moments. Make meaningful Christmas memories as we prepare our hearts to remember the reason for the season. We’ll gather for a short time in the Worship Center, and then move to the Commons for some interactive family stations. Hope you can join us! Sundays, December 2, 9, & 16, 4:30 pm. This is a great invite opportunity for your neighbors and classmates! Christmas is such a wonderful and special time! It’s also a time when we could use a few extra subs in Children’s Ministry. If you are willing to possibly be added to the sub list, or you have questions as to what serving in Children’s Ministry looks like and how you could help, please write “Subbing in Children’s Ministry” on your communion card or email Kelly Bauman at kbauman@fiveoakschurch.org. If you’re new here, you may wonder how best to get connected. We have a simple first step, called Pizza with the Pastor. This one-hour lunch with Pastor Henry will allow you to ask any questions about Five Oaks and get you started connecting with others. FREE childcare and a FREE pizza and salad lunch. Sunday, December 9, after the second service. Email Kelsey Vang, kvang@fiveoakschurch.org, to register. Our Saturday services have a more relaxed vibe, so it’s a comfortable way to ease into serving on the weekends. We have openings for ushers, greeters and Acorn Café on each Saturday of the month. In most cases, you can serve and still attend the Saturday service. For more info, please write “Saturday SERVE” on your communication card. Our goal is to be a church where you can get connected, and we have tools to help you do just that. One of those tools is an online communication app called Realm. Realm is one single platform you can use to get connected to all things Five Oaks. We’ve been working with Realm to help make this experience even better and have some great new updates to share with you. If you are new to Five Oaks or have Realm questions, please email Pam Hawley at phawley@fiveoakschurch.org to get a Realm invite or answers to your questions. Do you have some holiday shopping to do? Any purchases made on Amazon can benefit our youth group when you set up ‘Five Oaks Community Church’ as your brand partner on your Amazon account. Visit smile.amazon.com/ch/41-1648937 to get set up and start shopping! Our Student Ministry thanks you!